Welcome! 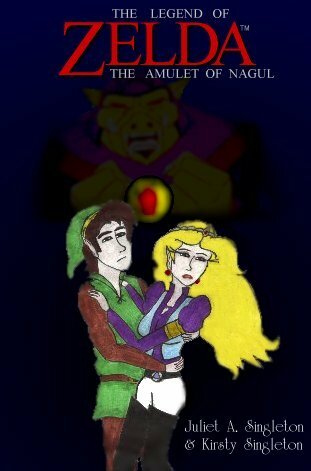 This story is the final book in the trilogy, to my previous stories, 'The Dark Empowerment ' and ' The Third Triforce'. This one is around 72 pages altogether, I think! As you'll all know by now, the characters and locations are those from Zelda I & II and the cartoon, and there's plenty of others who are made up. I delved in Link's history a little here, and made a lot of it up, but that's just for fun, so don't anyone email me telling me I'm wrong! Feel free to download all the parts or put them on your own page (yes please!). Simply click on the links below to read each chapter or download the zipped text documents. King Harkinian is all set to marry his newly-found love, Lady Fenella. Zelda isn't at all happy, but there's nothing she can do. There's an unexpected visitor, in the form of a resurrected Trenon. He uses a kind of magic never seen previously, and kidnaps Zelda. Link and the rest think she is dead, and devestated, Link kills Trenon once and for all, before returning to Catalia.